In 2015, 3 South African seamen disappeared in the Southern Ocean. In 2015, after three South African seamen went missing somewhere in the vastness of the Southern Ocean, their families tried to trace their final movements. Uncovering the truth would require going to war with the world’s largest tourism conglomerate, a €20-billion-a-year monolith that had no interest in fielding questions. Sailing routes and Cyclone Bansi path. On 12 January 2015, when the International Space Station was 400km above the eastern fringe of the African island of Madagascar, an image was beamed down to earth. Unscrambled by computers at Nasa’s Earth Observatory, the picture looked like a scene from a sci-fi film. Perhaps the swirling violet abyss at the photograph’s focal core reminded Nasa’s engineers of the wormhole into which Hollywood astronauts occasionally disappear – and if so, at least for the families of those caught in the vortex, the analogy was apt. The churning neon thing was the lightning-lit eye of Cyclone Bansi, which had formed the day before and was now gusting at 185km per hour, or 99.89 knots. It would crest twice over the next few days, into category 4 (113 to 136 knots) and category 5 (137 knots plus), before petering out into a weak extra-tropical system by 19 January. A view of Cyclone Bansi from the International Space Station. Into this maelstrom sailed a new Leopard 44 catamaran, assembled in Cape Town by boat builders Robertson and Caine. Under different circumstances, the yacht would have taken the slower and safer route from Cape Town to the Thai island of Phuket, but TUI Marine, the world’s largest yacht charter operator – and the new owner of the Leopard 44 – had a reputation for getting its assets delivered fast. At 15h30, Saturday, 23rd January, NSRI Agulhas duty crew launched a Sea Rescue craft to attempt to locate a capsized catamaran reportedly sighted approximately 42 nautical miles off-shore of Agulhas. NSRI Hermanus launched a sea rescue craft to stand-by in the area as back-up. The floating capsized casualty Catamaran has reportedly been sighted on numerous occasions and hopes are that she is the Catamaran Sunsail that has been missing for a year. On arrival on the scene, following a brief search, the upturned hull of the Catamaran was photographed by NSRI and NSRI rescue swimmers free dived to investigate markings and as much as could be investigated under the hull. NSRI could not positively identify her as Sunsail. The South African office of TUI Marine, which traded as Mariner Yachts, was after all just a tiny outpost in a global operation headquartered in the state of Florida, US – and TUI Marine, in turn, was a tiny subsidiary of the Hanover, Germany-based TUI Group, the world’s largest travel and leisure conglomerate, with 76,000 employees, more than 300 hotels, over 140 aircraft, and turnover for the 2014/15 financial year of €20-billion. For delivery skippers out of South Africa, as for hotel staff, travel agents and cruise ship crews the world over, TUI had become synonymous with employment itself. If a contractor had issues with a weather forecast – even one as potentially catastrophic as a tropical cyclone – it was odds-on that he’d be replaced. Just where exactly did China get the South China Sea nine-dash line from? China's territorial claims in the South China Sea are made on the basis of a nine-dash line now ruled spurious by an international court. But where did the line originate from and why is Beijing so sensitive about it? A UN-backed tribunal is on Tuesday expected to deliver its verdict on a Philippine challenge over Chinese-occupied territory in the South China Sea. China claims most of the sea, even waters approaching neighbouring countries, based on a vaguely defined "nine-dash-line" found on a 1940s Chinese map. The Philippines, and other countries, dispute this claim. First the dotted line on Chinese maps lost two of its hyphens in 1952, when, in a moment of socialist bonhomie with Vietnam, Chairman Mao Zedong abandoned Chinese claims to the Gulf of Tonkin. Then, on July 12, 2016, an international tribunal ruled that the now nine-dash demarcation could not be used by Beijing to make historic claims to the South China Sea, parts of which are claimed by six governments. The line, first inscribed on a Chinese map in 1947, had “no legal basis” for maritime claims, deemed the Permanent Court of Arbitration in the Hague. Beijing reacted with outrage to the judgment, which delegitimized China’s maritime ambitions according to international law. On July 18, China’s naval chief Wu Shengli told the visiting U.S.
chief of naval operations that Beijing would not halt its controversial campaign to turn the contested South China Sea reefs it controls into artificial islands complete with military-ready airstrips. China “will never give up halfway” on its island-building efforts, said Wu, according to Chinese state media. Also on Monday, the Chinese air force announced that it had sent bombers on “normal battle patrols” over Scarborough Shoal, a disputed reef that Beijing effectively seized from Manila in 2012. Analysts worry that China could next build on Scarborough Shoal, placing a militarized Chinese island off the Philippine coast. Far from hewing to the international court’s July 12 judgement on the nine-dash line, and contested features within that boundary, Beijing has made clear it considers the award null and void. Wang Ying, a Chinese marine geographer, also feels aggrieved by the tribunal’s award. “They didn’t respect history,” she says, of the international court. The 81-year-old member of the prestigious Chinese Academy of Sciences is the disciple of Yang Huairen, a Chinese geographer who, in 1947, helped etch the U-shaped, 11-dash line on Chinese maps to demarcate roughly 90% of the contested South China Sea for his homeland. “All the lines have a scientific basis,” says Wang, who still teaches at Nanjing University in eastern China. Most international law experts believe that China's so-called "indisputable sovereignty" over its maritime claim in the South China Sea has little merit, and is illegal under the United Convention on the Law of the Sea. The United States said that China's expansive claim increases the risk of confrontation, undermines regional stability, and dims the prospects for diplomacy, and paved the way for "US pivot" to Pacific. Philippines declares the claim is illegal and violates Philippines' and other nations' sovereign rights under UNCLOS. The Vietnamese president said that it has no legal foundation and scientific basis and rejected China's assertion. China defends its claim citing historical basis, most of which were taken from its imperial archives and ancient records. It has recently intensified its claim in the South China Sea which many believe to be a "gunboat diplomacy" against its weaker maritime neighbors. South China Sea is composed of three main areas: Spratlys, (the biggest); Paracel, (the next biggest); and Scarborough Shoal (the smallest). All of them are being claimed by People's Republic of China and Taiwan. Spratlys is also being claimed partly by the Philippines, Vietnam, Brunei, Malaysia, and Indonesia; Scarborough by the Philippines; and Paracel by Vietnam. Although the phrase nine-dash line is used commonly outside of China — to the point where an international arbitration court was asked by the Philippines to adjudicate on its legality — the words rarely appear in official Chinese media. Research by David Bandurski of the China Media Project in Hong Kong found that through July 12, the phrase was only used in six articles in the People’s Daily, the mouthpiece of the ruling Chinese Communist Party. Wang says the line is broken up because it’s a maritime boundary. “It’s not like a fixed borderline on land,” she explains. “As a scientist, I’d say it’s impossible to have a fixed border on the sea … the waves in the ocean move.” Wang also contends that the dotted line is a “very clear” divide between the deep ocean that is China’s domain and a Southeast Asia that doesn’t have much in the way of a continental shelf. (Southeast Asian nations like Vietnam, which has a long continental shelf, would disagree.) “When we made the line, we stressed a humanitarian spirit,” Wang says. DigitalGlobe overview imagery comparing Fiery Cross Reef from May 31, 2014, to June 3, 2016. Fiery Cross is located in the western part of the Spratly Islands group. Humanitarian spirit was not shown to Yang, Wang’s mentor. Born in 1917 and educated in Britain, Yang was employed by the Nationalist government of China. As politicians looked to strengthen a nation emerging from war and privation, Yang began cataloguing what the Kuomintang government claimed were China’s maritime treasures. In 1947, he worked on the map introducing the 11-dash line and 286 bits of rock and turf in the South China Sea. Yang helped to officially name each chunk of rock and reef, referring to the territory collectively as the “South China Sea Islands.” But two years later, the Nationalists lost to the communists in China’s civil war. During the Cultural Revolution, Yang was persecuted as an “antirevolutionary academic authority” because of his association with the defeated nationalists. “He never talked about the line he made in the South China Sea again,” says Wang of her academic guide’s latter years. Wang nurtures other historic grievances. Chairman Mao’s decision, through Premier Zhou Enlai, to hand over the Gulf of Tonkin to Vietnam in 1952, thereby removing two of the 11 South China Sea dashes, still rankles. “It was stupid,” she says. “Mao Zedong should not have given it up.” By contrast, she contends, Mao went to war with India over a border tiff. Why the difference? “China was a continental kingdom not a maritime one,” she says. “Historically, we did not pay much attention to the oceans.” Indeed, after a burst of seafaring exploration during the Ming dynasty (1368-1644), China’s emperors largely shut their empire off from the seas. As a consequence, Wang says, cartographic proof of China’s claims to the South China Sea is scarce. “We had no good maps during the Qing dynasty,” she says of the imperial age that replaced the Ming and ended in 1911. China claims 90% of the South China Sea with with overarching 9-dash line that encroaches within Philippines, Vietnam, Malaysia, Brunei and Indonesia's sovereign territories and exclusive economic zone citing its own ancient historical basis. However, what China believes is very different from the universally accepted historical accounts and facts according some Philippines arguments. 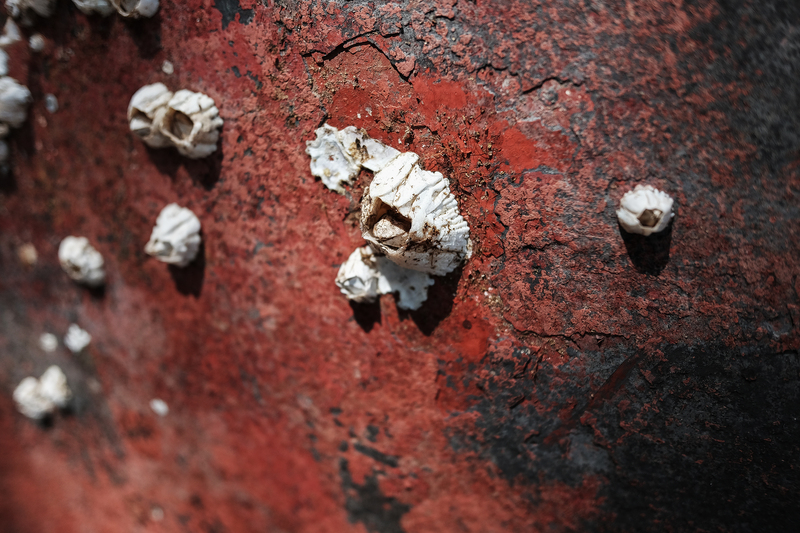 Still, like other Chinese scholars, Wang contends that plenty of historical evidence supports Beijing’s claims of ancient sovereignty over the South China Sea — from pottery shards to navigational handbooks used by Chinese fishermen. Of course, other nations that share the waterway, such as Vietnam, Malaysia and the Philippines, have their own archeological finds that they say prove their peoples also roamed the South China Sea. Besides, international maritime convention, to which China is party, pays less heed to history when it comes to deciding claims to the sea by nonarchipelagic nations. For decades, Chinese schoolchildren have been taught that their homeland’s furthest southern reach was the underwater James Shoal (known in Chinese as Zengmu, a transliteration of “James”), which is located around 50 miles off the coast of Malaysia. Waters around the shoal are home to Malaysian oil and gas platforms. This geography lesson notwithstanding, Chinese maps gave scant attention to the South China Sea. That began to change after 2009, when a map with the nine-dash line was attached in a submission to the U.N.
during a dispute with Vietnam. Today, Chinese passports are emblazoned with a map with nine dashes through the South China Sea—plus a 10th that ensures Taiwan, to which the Nationalists retreated in 1949, is counted as Chinese territory. Curiously, though, the dashes on the 2009 map (and on current Chinese passports) are located in slightly different places from those on the original 1947 map. In several cases, the new dashes hug the coasts of other Southeast Asian nations more closely, giving China an even more expansive claim to the waterway “Because the people who made the [newer] map were not strict, they didn’t follow the right image scale,” says geographer Wang. “Some people are not working that rigorously.” And though China also makes territorial claims in the East and Yellow Seas, these specks of land are not marked by dotted boundaries. Dashes, it appears, are reserved for the South China Sea. Ultimately, it’s not even clear what the nine-dash line means to China. Is it all water within the boundary or all territorial features? For the average Chinese, every drop of sea within the dashes is clearly China’s. “The discontinuous line,” says Wang, “means the national border on the sea.” The geographer clarifies further. “The dash lines mean the ocean, islands and reefs all belong to China and that China has sovereign rights,” she says. Certainly, some of China’s actions seem to support that definition of the line. In 2012, a fleet of Chinese maritime surveillance cutters patrolled the South China Sea in what was dubbed a “regular rights defense patrol.” A Chinese state TV crew was brought along for part of the ride. student at University of Western Australia who studies Chinese policy on the South China Sea, noted in his research that the route that Chinese ships took, which was documented on state TV, echoed the nine-dash line. Chinese audiences would be left with the natural impression that the dotted demarcation was the extent of Chinese sovereignty. In addition, as recently as 2012, Chinese boats cut seismic cables used for energy exploration by Vietnam. The cable-cutting occurred near the western extent of the nine-dash line, again suggesting that these waters were China’s. But international maritime law, which was formed after China’s dotted line was created, doesn’t see it that way. Even if China controlled every contested Spratly rock and reef — currently Beijing holds a minority of all Spratly features, which they have built into artificial islands — the law of the sea would not give China rights to all waters within the nine-dash line. Back in 2014, Wu Shichun, the influential head of the Chinese government-funded National Institute for South China Sea Studies, told TIME that the nine-dash line did not represent a blanket claim to all maritime space. “China has never claimed all waters in the U-shaped line,” he said. “From the historical archives from Taiwan and China, it’s clear that the line shows ownership of insular features within the U-shaped line.” A government statement reacting to the July 12 award may hint that official policy agrees that the line denotes all territory within the dotted demarcation, not all waters. Either way, the fact that ambiguity remains at all proves the complicated legacy of the nine-dash line. Meanwhile, tensions remain in the wake of the July 12 ruling. The Philippines, which lodged the case against China with the international tribunal in 2013, had said it would dispatch a former President to Beijing to negotiate on South China Sea issues. But on Tuesday Philippine Foreign Minister Perfecto Yasay told local broadcaster ABS-CBN that Beijing’s wish not to discuss the international tribunal’s judgment made bilateral talks tough. A day earlier, Beijing announced another set of military drills in the South China Sea, following live-fire action earlier in the month. China is cordoning off part of the South China Sea for war games from July 19 to 21. GeoGarage blog : What the South China Sea ruling means for the world / Philippines vs China: Why a South China Sea ruling may change Asia / China’s ‘Historic Rights’ in the South China Sea: Made in America? A fisherman with a catch of angelfish, near Serrekunda in the Gambia. The report says if regional governments build up fish processing industries and indigenous fishing fleets, they could generate $3.3bn. If governments in western Africa could end illegal fishing by foreign commercial vessels and build up national fleets and processing industries, they could generate billions of dollars in extra wealth and create around 300,000 jobs, according to a new report (pdf). In 2013, they followed reefers off the coast of western Africa and found vessels from China, Holland and South Korea operating there, with fish exported globally. Among the 35 reefers operating in the region that year, routes were consistent with the transfer of catches from fishing vessels to reefers, including inside the exclusive fishing waters of Senegal and Ivory Coast, countries that have banned ship-to-ship transfers of catches. 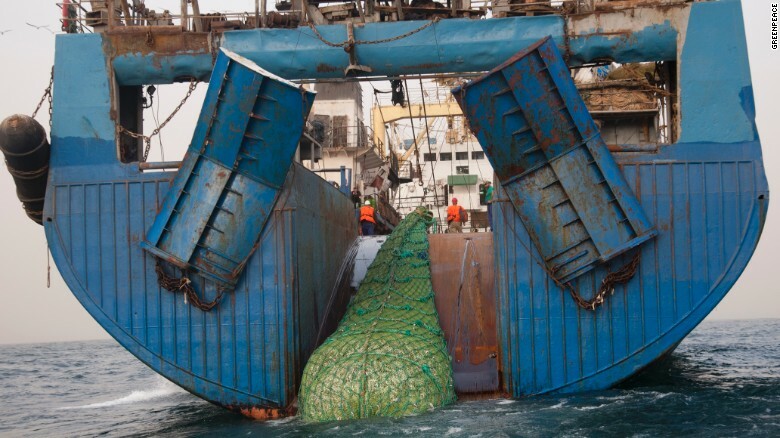 The tracking data also revealed the extent of IUU fishing via transfers on to container ships. Daniels says that 84% of illegal fish is taken out of the region in this way, making it hard to stop illegally caught fish entering the global supply chain. “Container ships are ignored,” he says. The report says that a “crisis of global governance on the world’s oceans” has meant that international efforts to prevent the plunder of marine resources are likely to fail. Daniels says it is essential to address all parts of the chain, highlighting three measures to combat IUU fishing: a ban on transferring fish at sea, strengthening regulations, and investment in patrols in “hot spots” of IUU fishing. Artisanal fishers are at the frontline of the crisis. Usmane Kpanabum, a fisherman on the island of Sherbro off Sierra Leone, says his nets were slashed by South Korean trawlers that fish inside the five-mile coastal zone reserved for artisanal fishers. Sierra Leone had just two coastguard boats to patrol its entire coastline in 2013. If regional governments end illegal fishing and build up fish processing industries and indigenous fishing fleets, they could generate $3.3bn (£2.5bn), eight times the $400m they currently raise by selling foreign rights, says the report. By developing their fishing sectors, western African governments could create up to 300,000 new jobs, with artisanal fishers connected to consumers. Using data from the UN Food and Agriculture Organisation (FAO), the report says this would lead to an almost 10% increase in the total workforce in the fisheries sectors, and would also create jobs for 90,000 women and reduce youth unemployment. It could also have a significant impact on food security, improving the diet and nutrition of people in the region as more households would consume fish protein normally exported by foreign vessels. According to one previous estimate, more than half of the stocks in the stretch of coast from Senegal to Nigeria alone have been overfished, with IUU fishing believed to account for between one third and half of the total catch. In 2012, according to data from USAid, Senegal was losing around $300m due to IUU fishing – equivalent to 2% of GDP. “There are several global epicentres of overfishing – including the Pacific and South America – but western Africa is one of the worst because of the impact of overfishing on problems such as the drugs trade, organised crime and illegal migration,” Daniels says. class F-70 Georges Leygues, 139 m length, 4910 tons vessel, with 240 crew members. A part of this movie is visible in the movie "Oceans" of Jacques Perrin & Jacques Cluzaud.